First Class Customer Service by Vans! 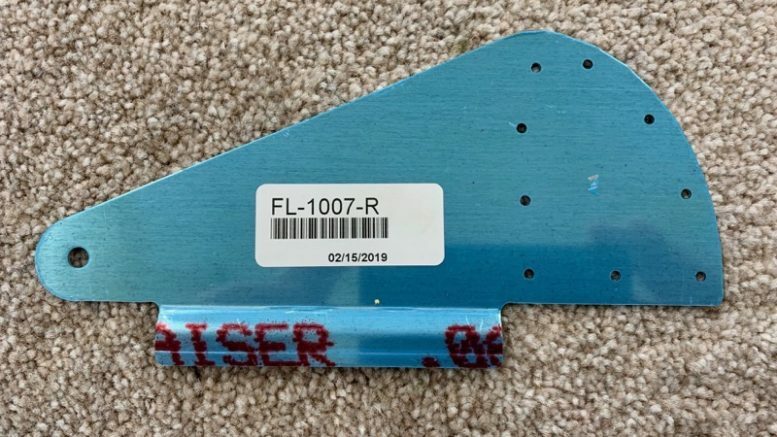 Well I did decide to order another FL-1007-R Flap Hinge … I couldn’t face seeing my little goof every walk round! But I thought I must mention brilliant service by Vans … I ordered the new hinge on Friday 15th Feb. If you look at the sticker on the new part, they must have received the order, toddled out to the factory and stamped one out straight away. Then they got Fedex to collect it that afternoon, and it was in my sticky mitts by Wed 19th Feb, having travelled all the way from Oregon to Shropshire, UK. Be the first to comment on "First Class Customer Service by Vans!"